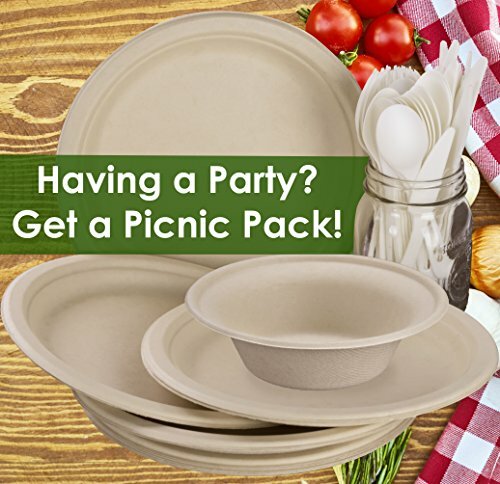 STRONG, ECO-FRIENDLY DISPOSABLE PLATES without the wood aftertaste or warped, inconsistent appearance! You and your guests will find our picnic tableware to be surprisingly sturdy and elegant, and you can serve hot or cold food for your party. 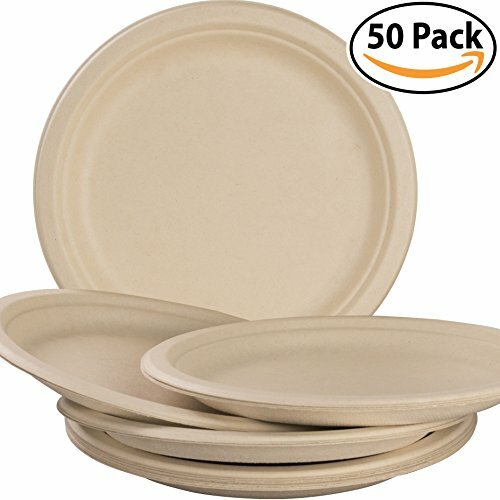 Can I use these plates for hot food? Absolutely! 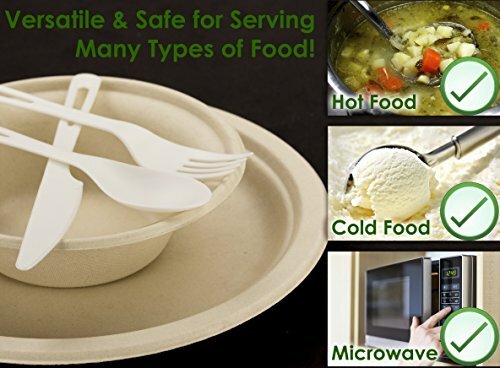 As long as the food you serve is under 180 degrees F, these biodegradable plates will maintain their sturdiness! Cold foods are also fine! What is this plant-based fiber made of? The fiber that makes up our plates comes from fully renewable unbleached wheatstraw fibers. The solid, pressed fiber is soak-proof, but slight condensation may collect on the bottom of the plates when hot food is being served on them. Why should I choose wheatgrass fiber plates over other biodegradable plates? We're so glad you asked! By choosing a renewably sourced disposable plate, you choose a sustainable world beyond the biodegradable plate you're eating on. In addition to being responsibly sourced, these plates are also consistently formed, so they will always sit flat on the table, unlike wood-based or leaf-based plates that can warp easily. Check out our Combo Pack and Picnic Pack listings for extra savings! Search for Avant Grub Picnic Pack on Amazon! SOAK-PROOF PAPER ALTERNATIVE. Serve your guests wet or moist foods without fear of leakage with our disposable plant fiber plates. Makes a great, sturdy alternative to cheap paper plates MICROWAVABLE & HEAT-RESISTANT UP TO 180F. Don't worry about how that hot food you serve will affect your disposable plates. 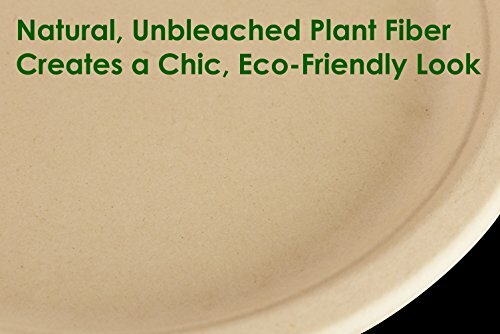 Our eco-friendly fiber plates remain sturdy up to 180F! CLASSY LOOK & SITS FLAT ON TABLES. Leaf plates can have inconsistent appearances and sometimes won't even sit flat on your table! Get fiber plates for a more uniform appearance. MANUFACTURED IN A ZERO CARBON EMISSIONS FACILITY. Talk about reducing your carbon footprint! 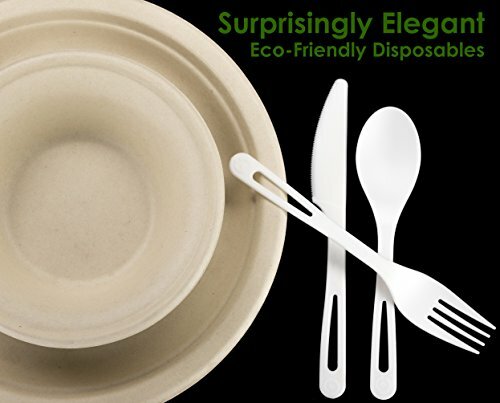 Not only is this tableware biodegradable after use, but they were created without carbon emissions. 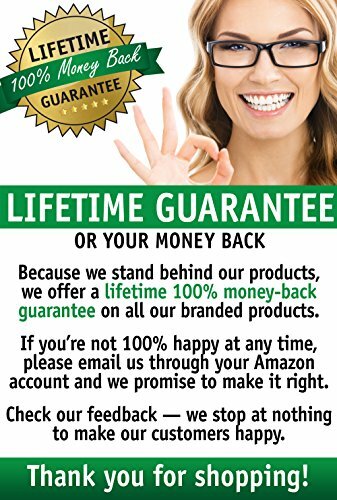 LIFETIME 100% MONEY BACK GUARANTEE! We stand behind our compostable plates and all of our products. If you're not 100% COMPLETELY SATISFIED, just send us an email, and we promise to make it right!